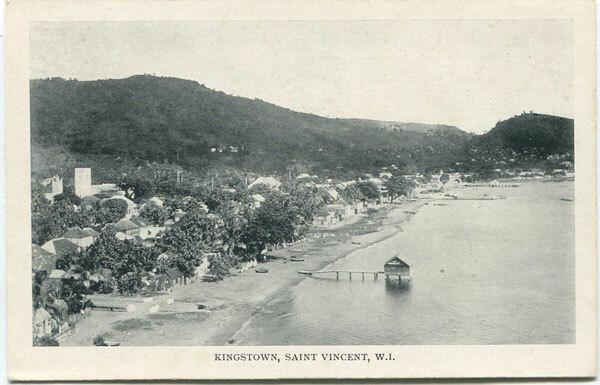 Old historical maps and prints of St Vincent for sale. All are originals. I do not sell reproductions. 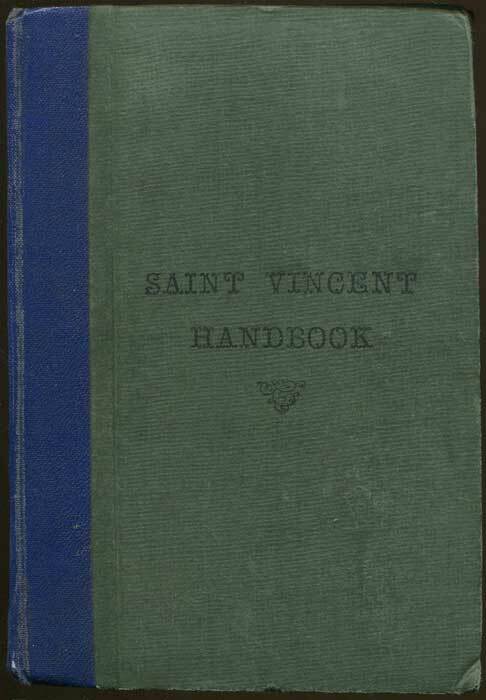 A detailed listing of the early maps of St Vincent has been published. 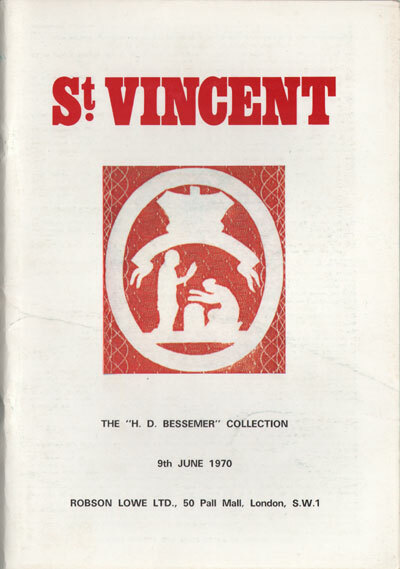 'The printed maps of St Kitts, St Lucia and St Vincent' was published by the Map Collectors' Circle in 1972. 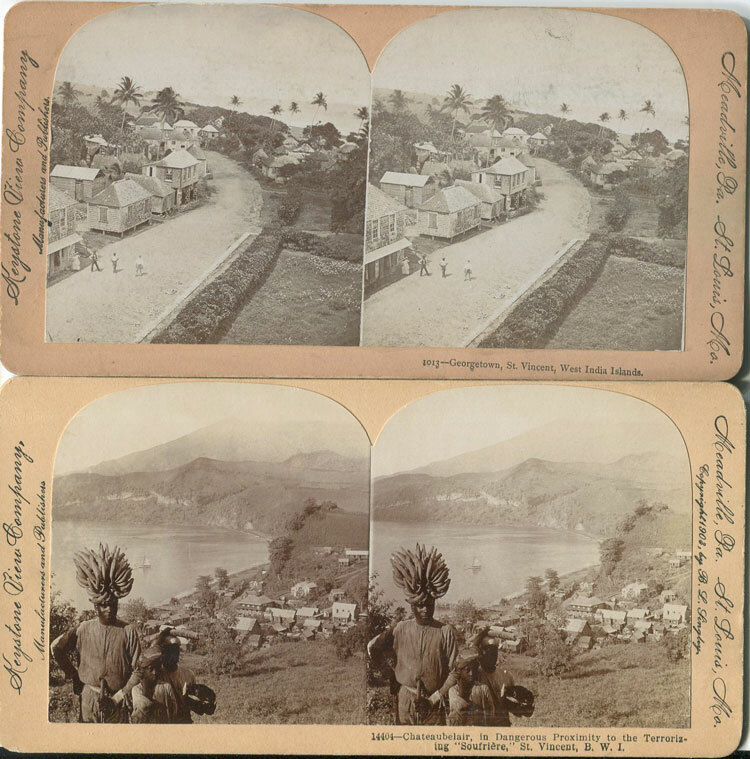 KEYSTONE VIEW COMPANY Georgetown, St Vincent and Chateaubelair in Dangerous Proximity to the Terrorizing Soufriere, St Vincent. 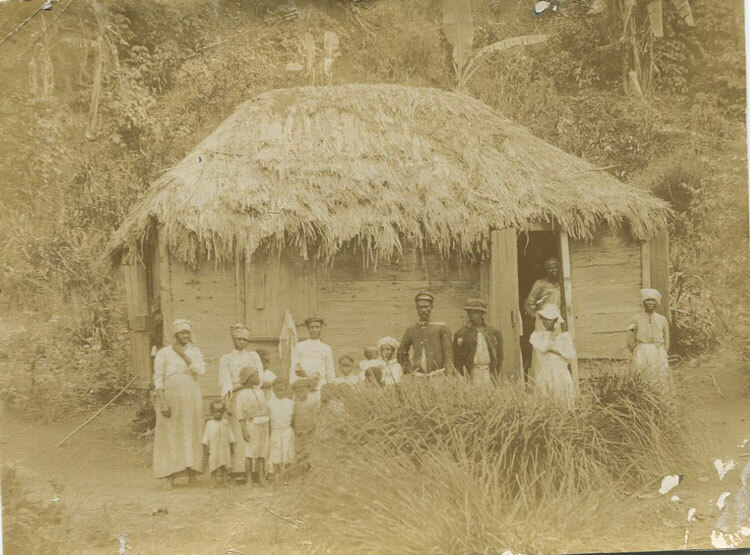 ANON Native family, St Vincent. Old original photograph, circa 1880. Minor faults. 5 x 4"
JOHNSON J. 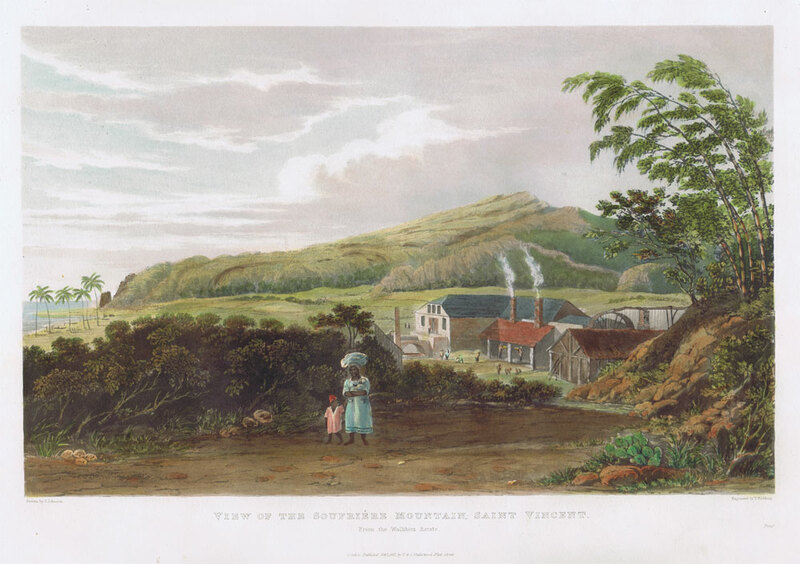 View of the Soufriere Mountain, Saint Vincent. - From the Wallibou Estate. Hand coloured aquatint, with full margins, marked 'Proof' at lower right. 17 x 12"
JOHNSON J. 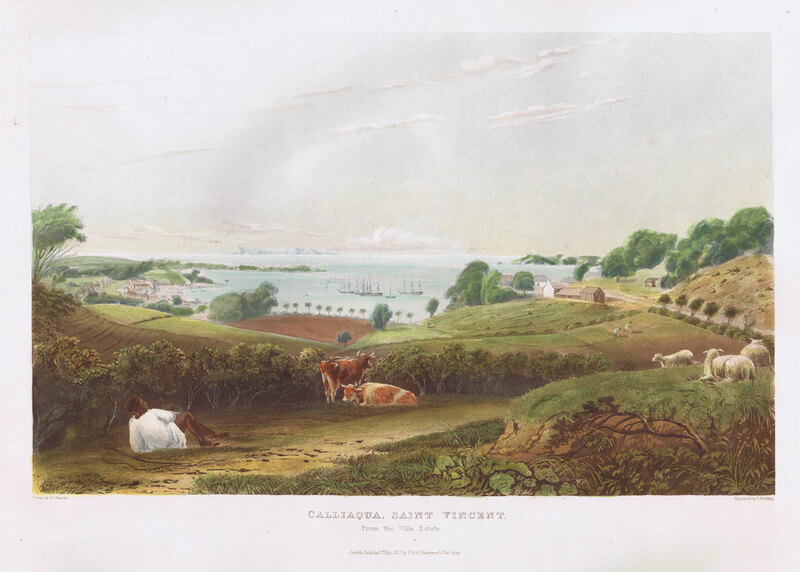 View of Calliaqua, St Vincent, from the Villa Estate. Printed colour heightened with hand colouring. 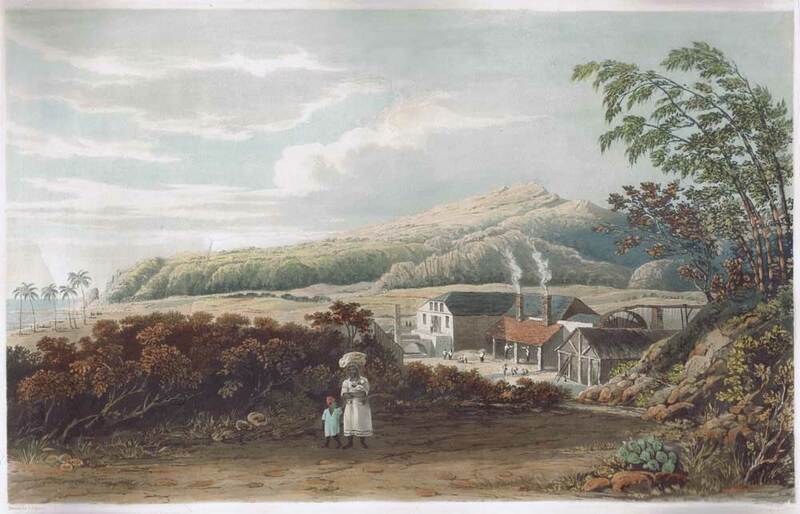 Aquatint from 'Views in the West Indies.' Fine with full margins. 17 x 12"
Hand coloured aquatint, the plate restored and mounted on later card. Small cracks visible at left and in sky when held up to the light. Cut close with loss of title. 17 x 11"
CADDY Lieut. J.H. 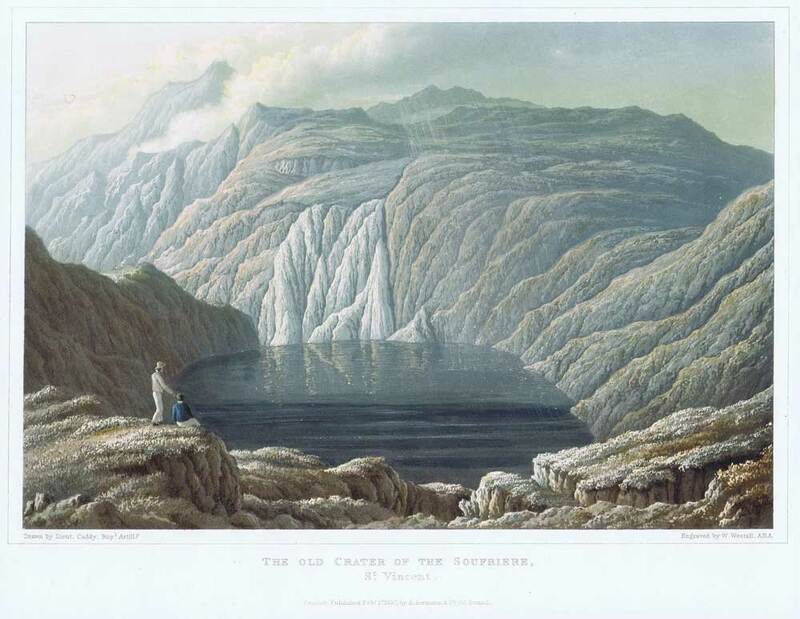 The Old Crater of the Soufriere, St Vincent. Hand coloured aquatint. Fine condition. 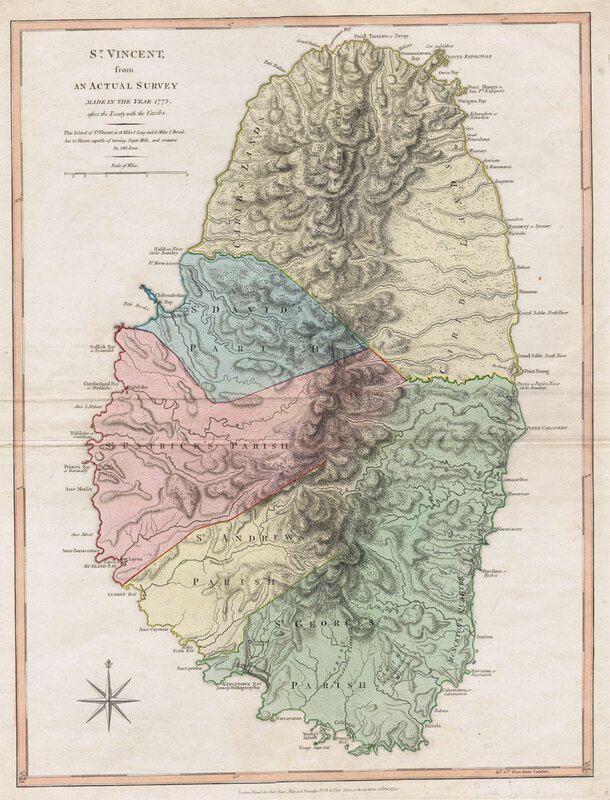 11.5 x 9"
JEFFERYS Thomas St Vincent from an Actual Survey made in the year 1775 after the Treaty with the Caribs. Hand coloured engraved map with large margins. Two original folds. Fine condition. 18 x 24"
BYRES J. 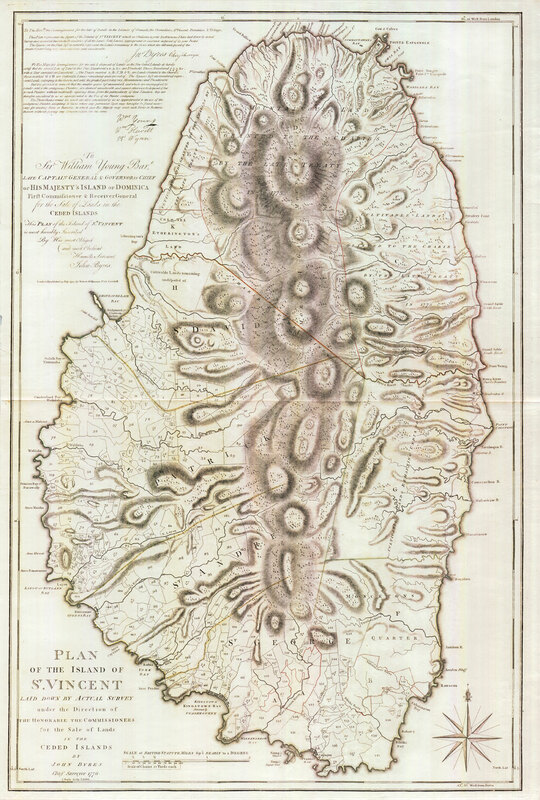 Plan of the Island of St Vincent - laid down by actual survey under the direction of The Honourable the Commissioners for the sale of lands in the ceded islands by John Byres. 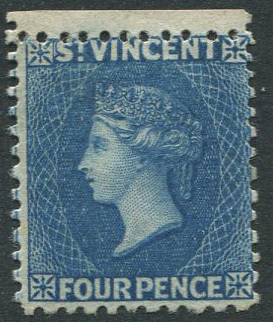 1862-8 St Vincent perf 11-12½, 4d deep blue (SG6) marginal copy, fine o.g.